We welcome you, whatever your goal is. Meet yourself on the mat and discover your ability to Thrive. We focus on creating an inclusive community for all levels and all souls. We are well known for our expertise in transformational modalities in and beyond a physical yoga practice. We present you the tools to grow physically, mentally, spiritually and permission choose what serves you and leave what doesn’t. Our styles and methods are many, all merging in the common goal of expanding the vitality that is already within you. 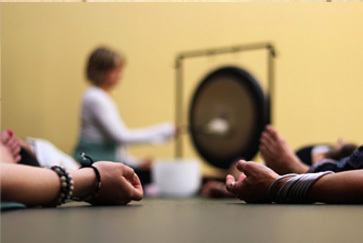 We offer 60 classes a week- 60 invitations for you raise your vibe with enthusiastic, experienced teachers to guide you. 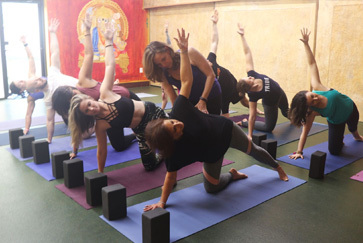 This a fun, safe space where you can explore what a yoga practice means to you. Our style is innovative- using trends and recent findings to complement our baselines of in-depth, traditional, knowledge of yoga. The deep experience of freedom, vitality and connection is a staple of our studio. ©2019 Thrive Yoga. All Rights Reserved.